As the days are getting longer and the temperature is getting warmer spending a whole day at the Disneyland Resort can become exhausting. Sometimes you just need to take a moment to relax. 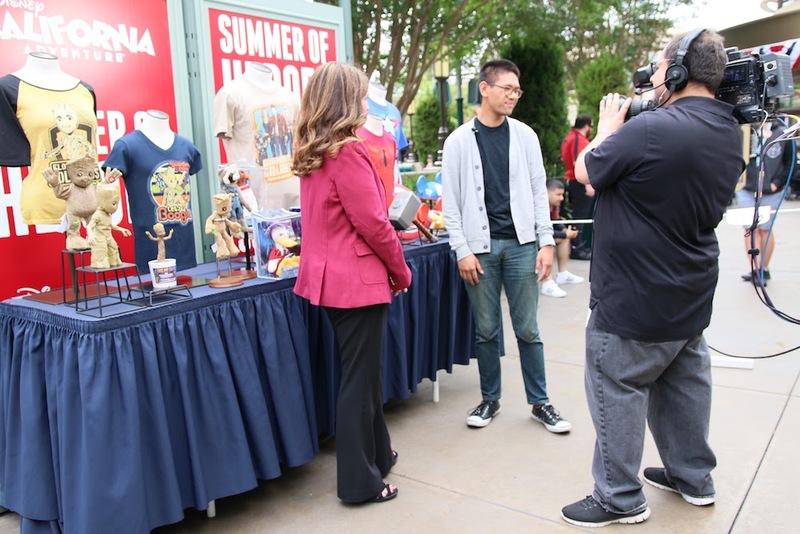 In this two-part series we’ll be showing some of the best places to rest up in both Disneyland and Disney California Adventure parks. 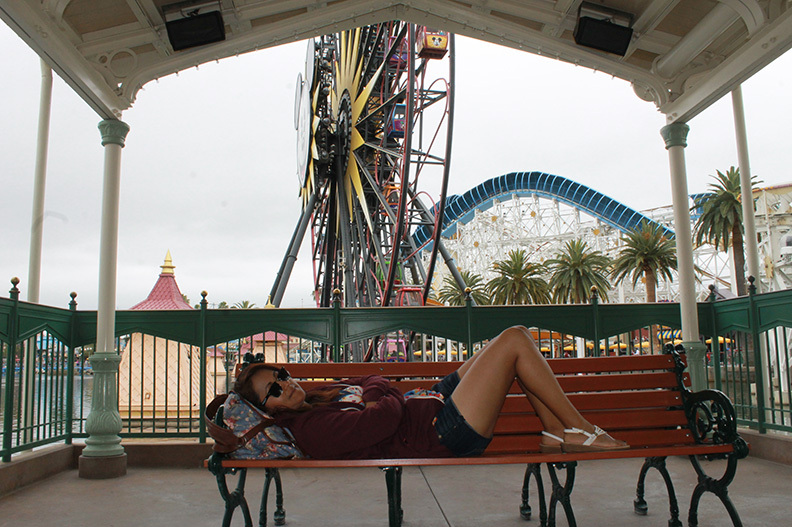 Let’s get started with Disney California Adventures best nap spots. Disney really did it right by setting colorful plastic furniture at the Mad Tea Party Seating it’s a great place to curl up and rest. Grizzly Peak is an area that represents California’s majestic forests. It’s a great place to go white water rafting on Grizzly River Run. 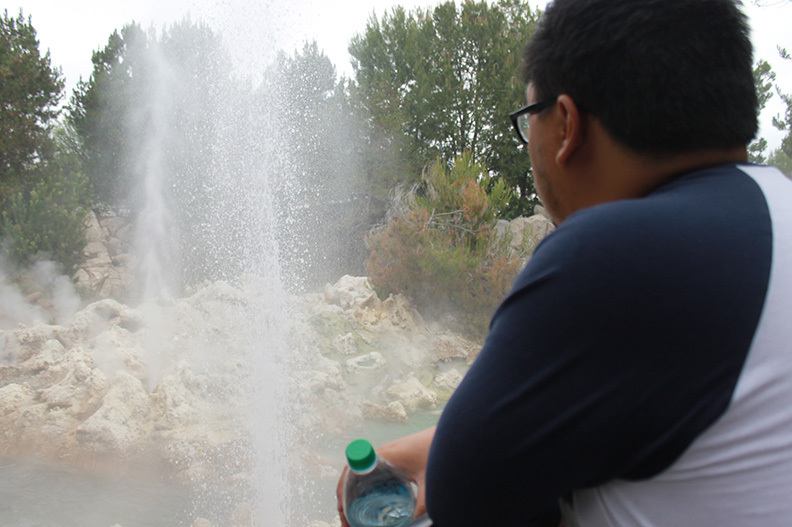 It’s also a great place to rest up and enjoy the scenery as well as the screams of riders being hit by Old Faithful. The Sonoma Terrace is a beautiful place to sit and eat at DCA. It’s similar to a vineyard in wine country California. It provides ample amounts of shade and is very peaceful. So even if you’re not eating, just go sit on the Terrace for a little while. 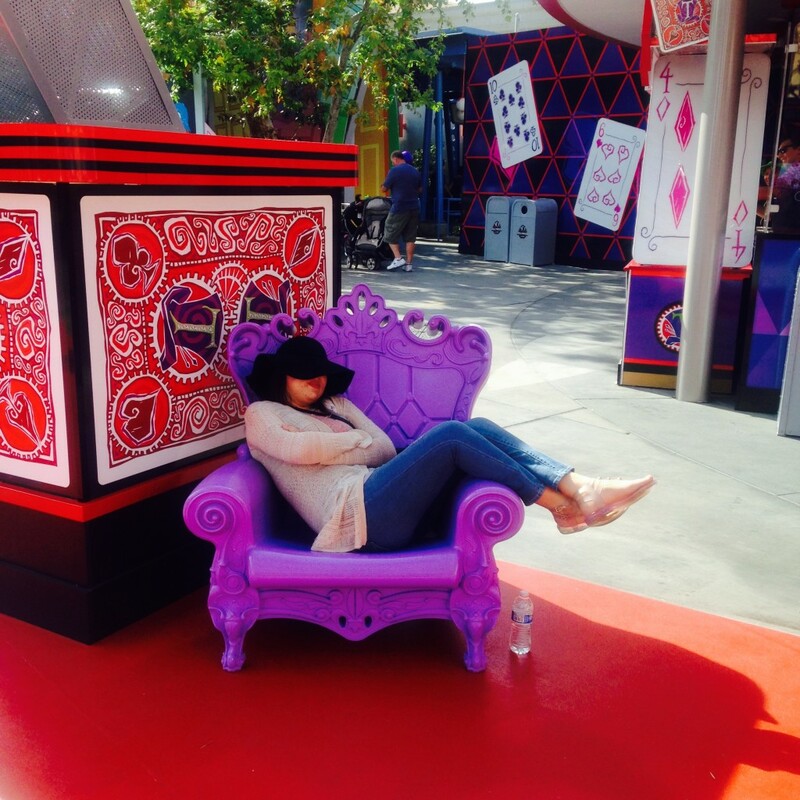 Underneath the Silly Symphony Swings attraction, there is a perfect spot for relaxing. Under the swings there are several benches where you can enjoy a shady and quiet moment as you can look over the beautiful views of the water and Paradise Pier. The entrance walkway is just past the swings as you are walking from Mickey’s Fun Wheel. 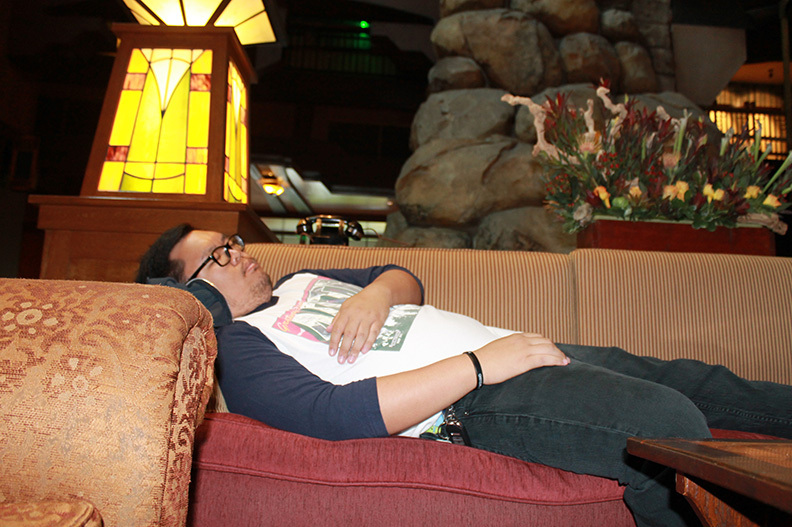 The Grand Californian Hotel has many rest spots to choose from. You can rest on any of the armchairs or couches in the lobby on the first or third floors, or even by front of the fireplace. To make it even more restful, bring a book to read while your child takes a nap in the stroller. And there you have it! This summer when the crowds get high, or the temperature goes up, don’t stress! 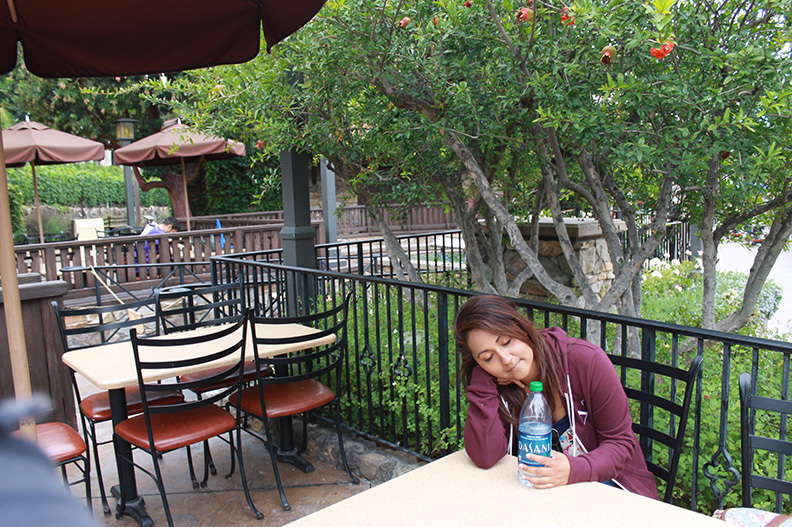 Disney California Adventure park has plenty of spots for you to rest and get away. The only problem is picking which spot is for you.